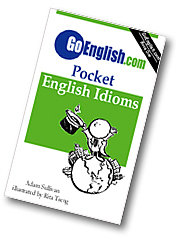 Today's Idiom = "A Pipe Dream"
A pipe dream is a hope you have about a thing you might do someday. Example: "I've always had this pipe dream to start my own coffee shop." Example: "He'll never make money with that. It's just a pipe dream."